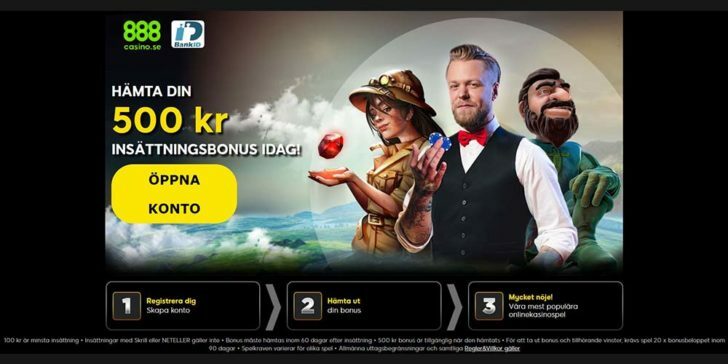 888casino welcome bonus for Swen dishes out up to 500 Kr bonus as bonus money. 888casino Welcome Bonus for Sweden gives away up to 500 Kr bonus money. Simply deposit 100 Kr as your first deposit after creating an account and play with 600 Kr. 18+. New customers only. Deposits with Skrill & Neteller don't qualify for the bonus. Unused bonus expires in 60 days. 20x wagering requirement applies. T&Cs apply.